Here's another item I recently received in the mail, a $1 coupon for Bounty paper towels. 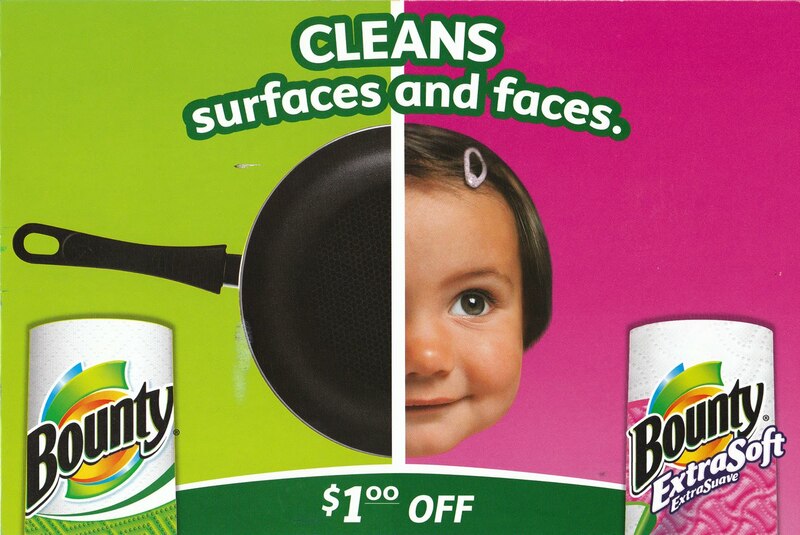 There's something about the juxtaposition of the frying pan and the little girl's face that just doesn't sit right. Might Proctor & Gamble be going for that domestic violence demographic?